Keisha and Mio strolling at Ala Moana Park "white wall" on their Oahu vacation honeymoon. 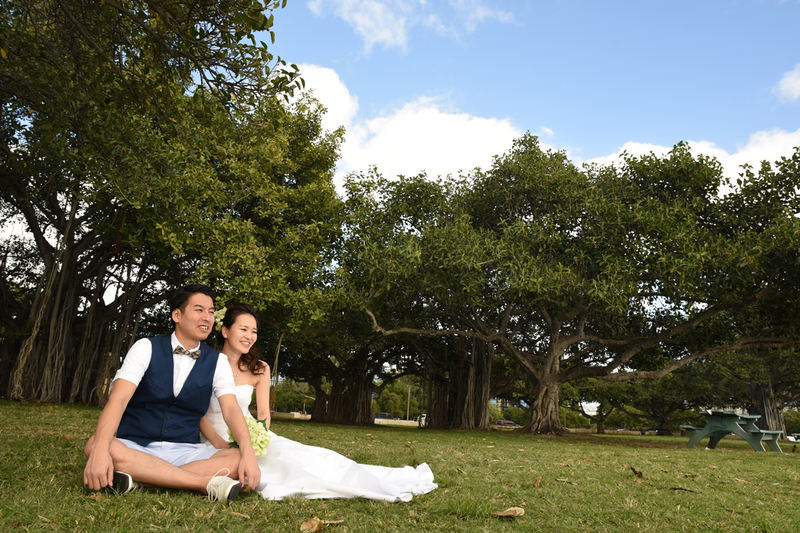 Japanese couple sits down at the grassy oceanfront park in Honolulu Hawaii. 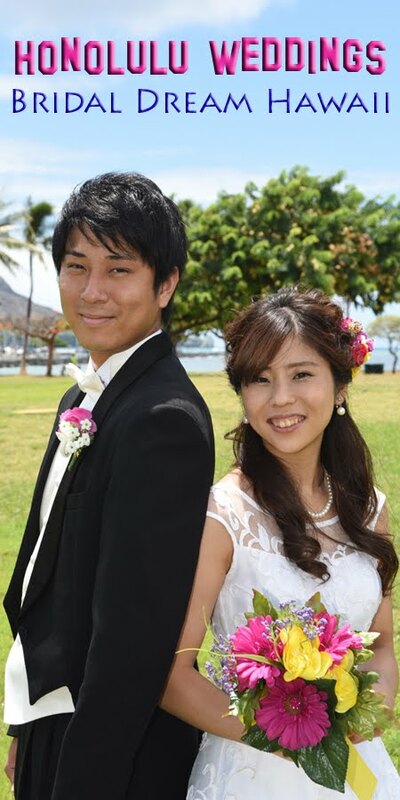 Dream weddings in Honolulu by Bridal Dream Hawaii.